The weather has been a bit weird in Hawaii lately. 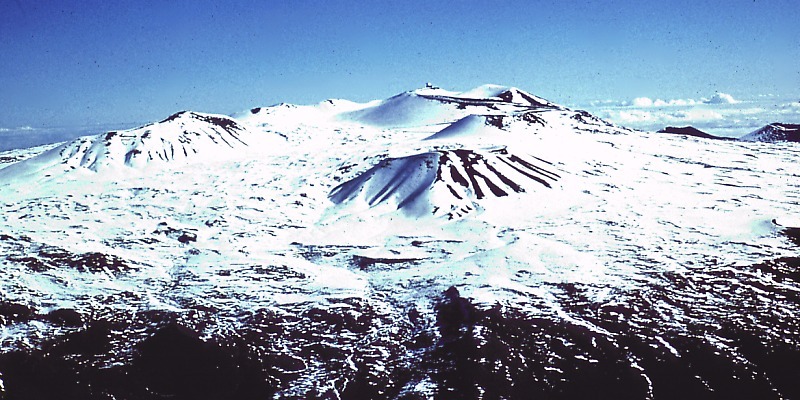 There has been more snow at the summits of Mauna Kea and Mauna Loa on the Big Island. On Sunday and Monday there were also reports of thundersnow. Thundersnow is an unusual kind of thunderstorm with snow falling as the primary precipitation instead of rain. It typically falls in regions of strong upward motion within the cold sector of an extratropical cyclone. Next post: Boxing Day Blizzard?